I’ve been mulling over Eureka moments lately. Products of pioneering thinkers like Archimedes’ and Newton’s may corner the market, but epiphanies come in all shapes and sizes. It doesn’t always have to be and original discovery that leads to Eureka. A gifted explanation can go a long way to create an aha moment for others. space shuttle Challenger exploded shortly after liftoff in 1986, killing all aboard. The question was why and everyone dithered about it for months. 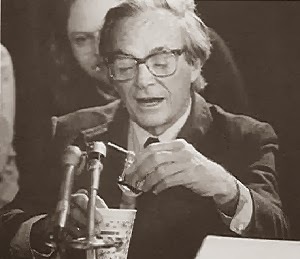 During his testimony, Feynman revealed the problem in moments. He used a C-clamp to bend the type of rubber O-ring used to seal joints in the rocket, then plunked it into his glass of ice water. He pulled it out, unscrewed the clamp and showed how the now 32-degree rubber was too cold to bend for valuable seconds. It had been 32 degrees on launch day. No effective seal, leaking gas, fire, death. Was this an epiphany for Feynman? I have no idea; it might have just been a satisfying, logical conclusion. But for the people who wanted to know what happened and couldn’t assemble, sort and understand all the factors, it was a mind blower. QED, game over. As nonfiction writers, and especially as nonfiction writers for kids, wouldn’t it be great to be able to create aha moments for our readers and open up new parts of the world to them? Sorry, I wish I could simply print the recipe at the bottom of the page. 1. Curiosity—not just coming up with facts, but also a compulsion to flip them over in your mind and study them from every angle. 2. Wonder—wondering about situation and having a sense of wonder about it so you might be able to get some poetry into the mix when you try to get the idea across. 3. Expansion—somehow leaving enough room for a reader to get invested and involved and find his or her discovery amidst your own. Anybody have a few more suggestions? I’d love to hear (and use!) them. 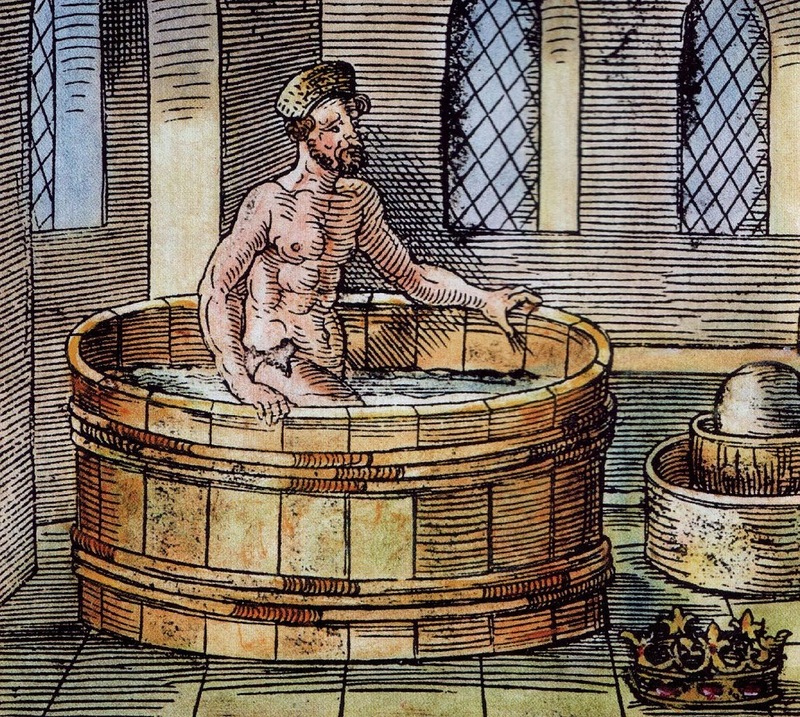 So that's what Archimedes looked like naked. I would have never guessed. Number 3, Expansion, hits a strong chord with me. I want my books to be open with lots of white space. It gives the reader the chance to take in the ideas behind the words and images. Expansion reminds me of the great ancient Chinese scrolls - lots of space and disappearing lines so that the person looking can bring his own thoughts and interpretation to the painting. Thanks for this, Susan. It leaves much to think about. Thank You Susan, I am exploring NF PB at the moment and thinking I would love to expand on so many wonderful non fiction stories and I am curious about the parts of stories that didn't make the print. More food for thought. Great post, Susan. I've had a few of those moments. Long ago a friend suggested that we write a cook book for kids together. I remember thinking, "I don't want to write cookbooks for kids, I want to write science books for kids." At that moment the title "Science Experiments You Can Eat" popped into my head. I knew enough about both cooking and science to write an outline on the spot. That aha moment has served me well. Thanks for your comment, Cecilia, good luck finding what needs to be said. And Vicki, it really is a great idea for a book. Years ago, I went to cooking school and the first thing you learn is that it's all chemistry. Susan K., you of all people, can't you tell that that picture of Archimedes is not a photograph! And I agree about expansion--complicated, though, isn't it? Sort of like white light being made up of all the colors.